We all age. There is no way to turn back the hands of time but there are ways to make the transition easy. There are natural remedies you can use to fight and reduce the visible signs of aging. 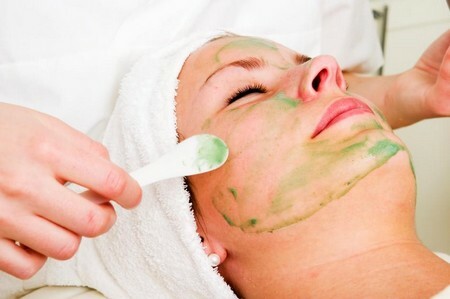 Using the right method can have your skin glowing and looking as youthful as you feel. Sunscreen: Most people skip this very important step when caring for their skin. People over discount the harmful effects of the sun while underestimating the value of using sunscreen. Wearing sunscreen every day can protect your skin for the damaging effects of the sun. The sun can cause age spots and wrinkles that can make you appear older. Use a sunscreen with a SPF of at least 15. You can use a sunscreen that blocks both UVA and UVB rays from the sun. Sunscreen is not just for sunny days. Sunscreen should also be worn when there is overcast. Limit your time in direct sunlight. When you are outside of the house it is important that you limit your exposure to some of the sun’s harmful rays. Wear long sleeved apparel and a hat to shield your body and face from the sun. Use the right skin care products. Some skin care products may have irritating ingredients. It is important that you monitor your individual reaction to each product. Individual reactions may vary but some ingredients that are known to irritate people are Menthol, Lemongrass, Lime, Lavender and other oils and extracts. Moisturize. This is essential to fighting the signs of aging in both cold and hot weather. Dry skin is not a cause of dry skin; however, wrinkles are more noticeable when the skin is dry. Alpha hydroxy. Alpha hydroxyl cleansers and lotion can be applied on any and all areas that show signs of aging like spotting. It helps to rejuvenate the area and reduce the appearance of spots. Fade cream. Using a fade cream like Ambi or Esoterica may also help reduce the visible age spots. You can apply these products at night. Some dermatologists are prescribing Retin-A. Retin-A acts as a fade cream as well. See a dermatologist or specialist. If your aging and wrinkles become a problem you always have the option of seeing a professional. Seeing a doctor will broaden your options in terms of being able to access products that are not available over the counter. If you find that your unique set of skin problems require more than what can be treated over the counter then make an appointment to see your dermatologist or physician.